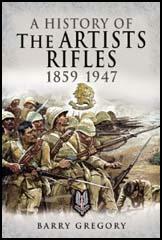 The 38th Middlesex (Artists) Rifle Volunteers was formed in 1860 by Edward Sterling, an art student. At first the regiment largely consisted of painters, sculptors, engravers, musicians, architects and actors. Its first commanders were the painters Henry Wyndham Phillips and Frederic Leighton. Over the next few years several outstanding artists who joined the regiment including William Morris, Charles Edward Perugini, Ford Madox Brown, Luke Fildes, Valentine Princep, Charles Keene, John Leech, John Everett Millais, George Frederic Watts, Algernon Charles Swinburne, John William Waterhouse, Alfred Leete, Edward Burne-Jones, William Holman Hunt, William Frederick Yeames and Dante Gabriel Rossetti. Lucinda Hawksley, the author of Katey: The Life and Loves of Dickens's Artist Daughter (2006) has argued: "He (Charles Edward Perugini) signed up in 1860 and served for twelve years. There are also a couple of remaining letters, sent to a less than eager member of the corps, in which Carlo gently but firmly reminds him that his presence is required at the next drill session. It is apparent that he took his duties very seriously, unlike the many who were only interested in the social life. It is no coincidence that Leighton was a very early member of the regiment that was to become renowned for holding the best and most lavish parties." 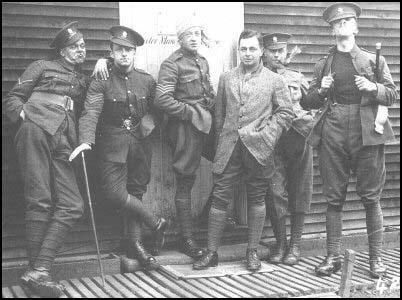 The Artists Rifles was one of twenty-eight volunteer battalions in the London and Middlesex areas that combined to form the new London Regiment in April 1908. Over fifteen thousand men served in the battalion during the First World War. This included Edgell Rickword, Charles Jagger, Wilfred Owen, Bert Thomas, Alfred Leete, Sidney Strube, R. C. Sherriff, Edward Thomas, Paul Nash, John Nash, John Lavery, Wyndham Robinson, Frank Dobson, Eric Blore and Eugene Bennett. 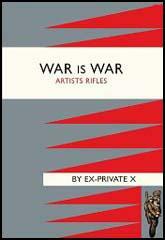 The Artists' Rifle Volunteers were disbanded in 1945, but was combined with other elements to form the 21st Regiment Special Air Service (Volunteers). On 19 March Rickword and Rowe, who had been put in charge of a working party, were talking together when a shell exploded nearby. Both were hit by flying splinters. They were taken to the base hospital at St Pol, where Rowe died on 17 April, although the wound in the shoulder which Rickword had received was found to be comparatively slight. St Pol was some miles behind the lines, but it still came under fire. Rickword later recalled that "the Germans were bombing the railway station by day, testing, with fair success, a long-range gun on the church in the square, and brightening our evenings with air-raids on the dumps surrounding the hospital". He also remembered a visit to the hospital by a concert party, and commented: "For the courage which faced these dangers and the skill which organized it no praise could be extravagant". He (Charles Edward Perugini) signed up in 1860 and served for twelve years. There are also a couple of remaining letters, sent to a less than eager member of the corps, in which Carlo gently but firmly reminds him that his presence is required at the next drill session. It is apparent that he took his duties very seriously, unlike the many who were only interested in the social life. It is no coincidence that Leighton was a very early member of the regiment that was to become renowned for holding the best and most lavish parties.